CHARLOTTE, N.C. -- North Carolina's status as a national solar energy leader expanded further in 2016 as Duke Energy connected about 500 megawatts (MW) of solar capacity in the state to serve customers. The combination of owned and purchased solar was enough to power about 105,000 homes at peak production. 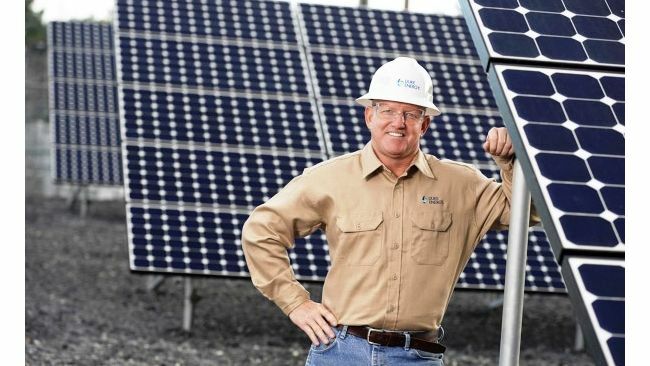 "Renewable energy is important to our customers, and Duke Energy is responding by developing and owning solar plants – and also by connecting other solar projects to our system in North Carolina," said Rob Caldwell, president, Duke Energy Renewables and Distributed Energy Technology. Across its commercial and regulated businesses, Duke Energy invested in 100 MW of capacity during the year – including plants in Davie, Hertford, Northampton, Perquimans and Wilson counties. The company also purchased and connected about 400 MW of solar capacity for customers in 2016 that was built by other developers. Much of the new solar energy supports North Carolina's 2007 Renewable Energy and Energy Efficiency Portfolio Standard that mandates Duke Energy generate 12.5 percent of its retail sales in the state by renewable energy or energy efficiency programs by 2021. The solar outlook appears promising in 2017, too. The company is seeking about 400 MW of new capacity in its Duke Energy Carolinas territory in the Piedmont and western portions of the state. Also in 2017, Duke Energy is scheduled to begin operation at its 60-MW Monroe Solar Facility in Union County. "Duke Energy is striving to expand renewable energy in North Carolina – creating a sustainable process that serves the needs of the environment, customers and stakeholders," added Caldwell. Overall, through its regulated utilities and Duke Energy Renewables, the company owns and operates about 500 MW of solar capacity in North Carolina. See a detailed map. It purchases almost 1,700 MW of solar capacity from other facilities in the state. More than 4,500 Duke Energy customers generate roughly 45 MW of private solar. According to the Washington, D.C.-based Solar Energy Industries Association, the entire state of North Carolina has more than 2,500 MW of solar capacity – making it No. 2 in the nation for overall solar power.